We recently played a fantastic 40th birthday party for a lovely client in North London. 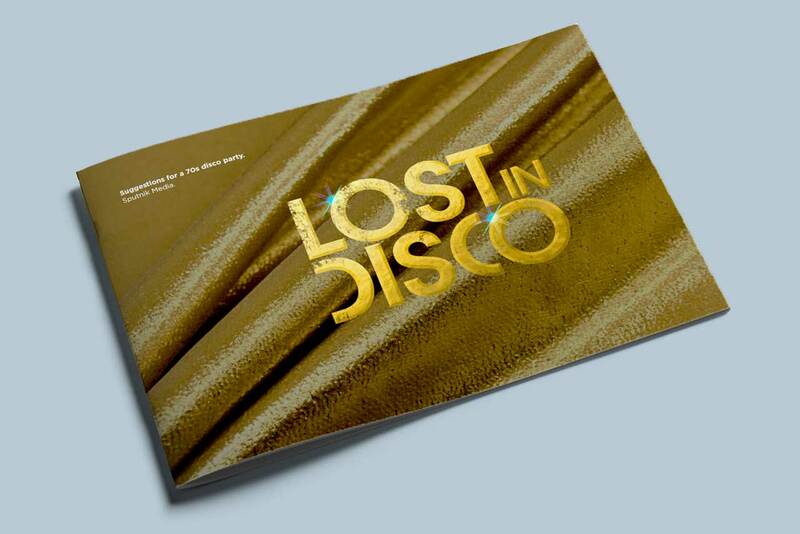 The theme of the night was 70s disco (a stretch for us…) and as part of the event we also consulted on the party design; everything from the invitation, to lighting, room decoration, projection, dress, props, cocktails and even room fragrance. We put together a visual document to use as a style guide, that was then passed on to the event organisers who used it as inspiration. The whole night was an incredible success; the invitation prompted the guests to all raise their game significantly and the brilliant production by the event company The Memory Creators put them in a fantastic mood as soon as they arrived. Of course the music was entirely in keeping; we ended up playing nearly an hour longer than we were booked for as nobody wanted to leave, but that’s exactly the result everybody wanted. A night where every element of the party worked together to create a truly brilliant event and a very happy client.